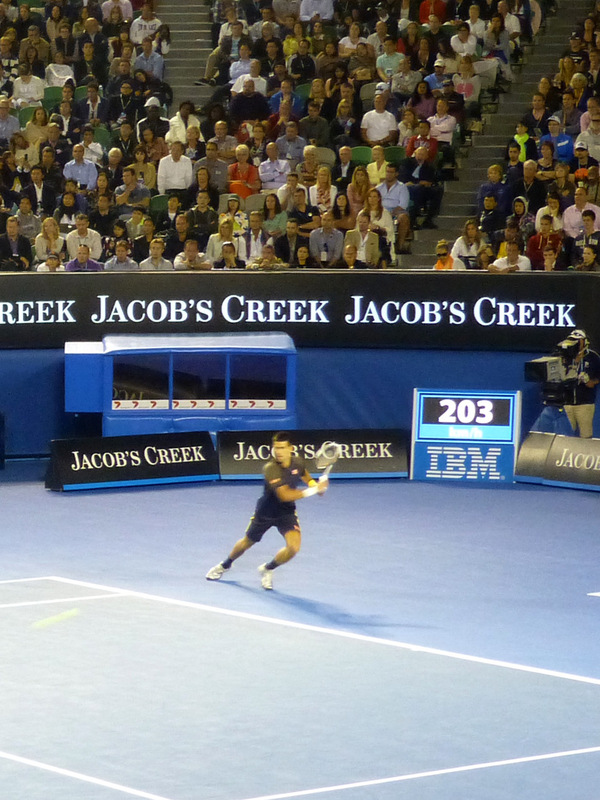 After the pre-match corporate entertaining we went through to Rod Laver Arena to see the Men's Final Match. 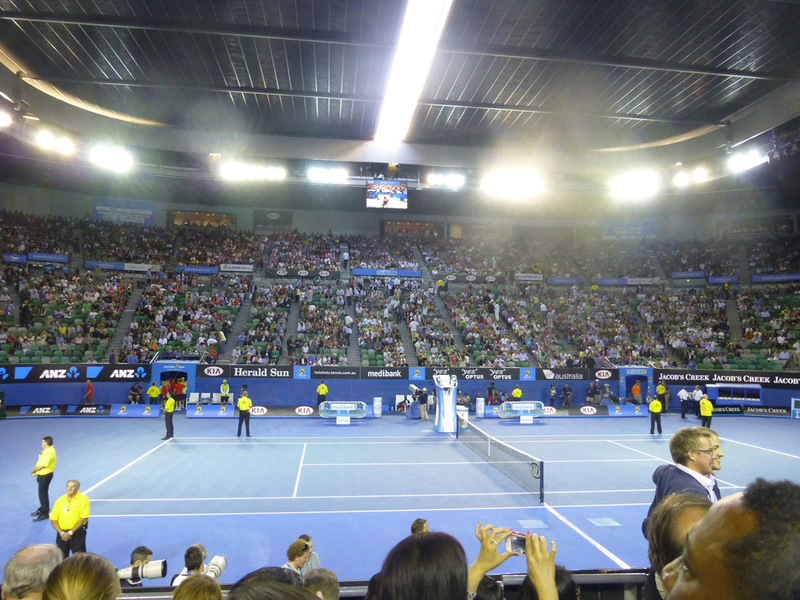 We had great seats, fourth row from the front directly opposite the umpire. A perfect position to see the trajectory of the ball from side to side and to watch both players faces at all times. 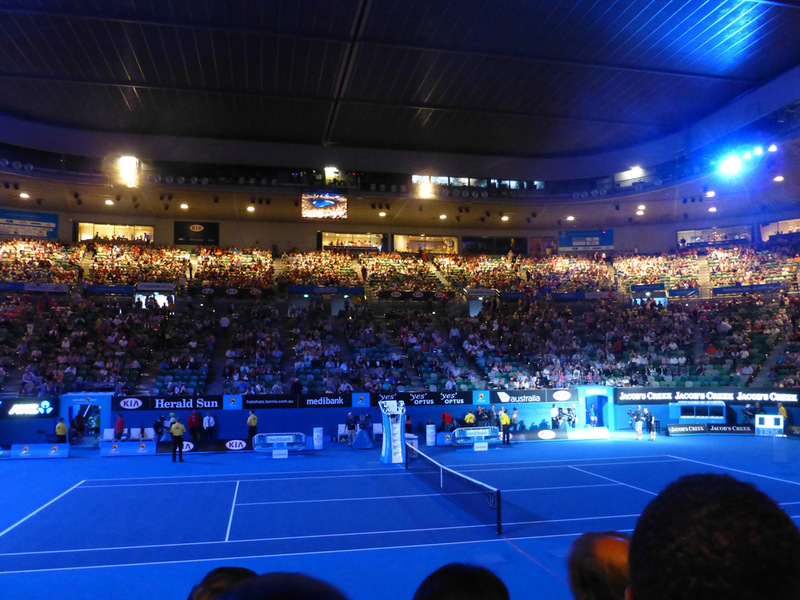 The consensus around the table was that it whilst it was disappointing not to see Roger Federer make it to the finals it would still be a great match between Andy Murray and Novak Djokovic. Support was split amongst our group as to who we'd like to see win. 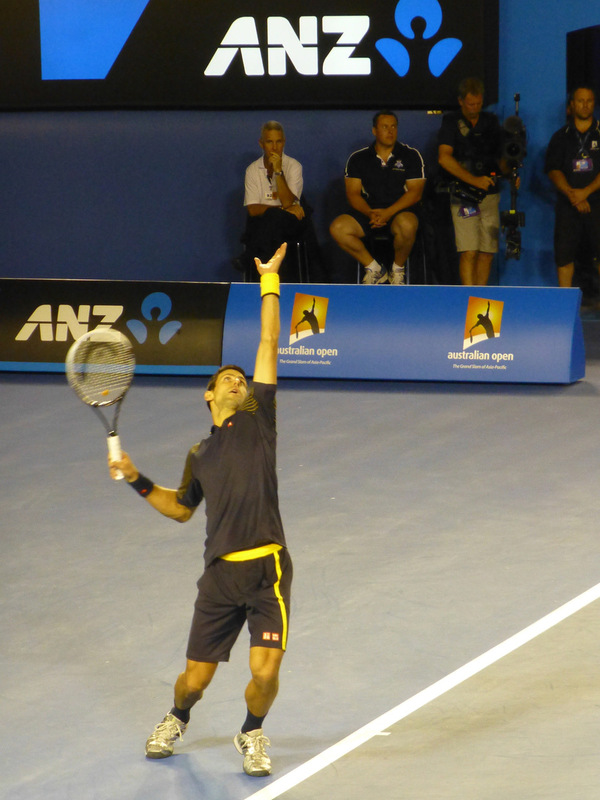 Geoff and I were going for Djokovic. We liked his light-hearted nature and as the game play began we also liked his attitude. Here was a player who remained cool and collected, didn't stress out if he dropped a point, a game or event a set - you could see that he knew he was playing a top ranking player in a champions final match and he expected things to not always go his way. 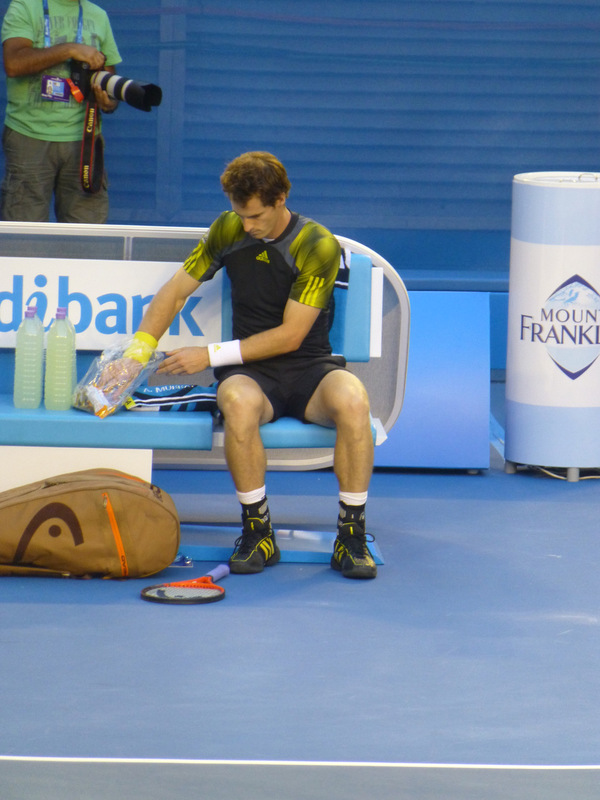 Murray on the other hand was always scowling and getting upset with every point he dropped along the way. 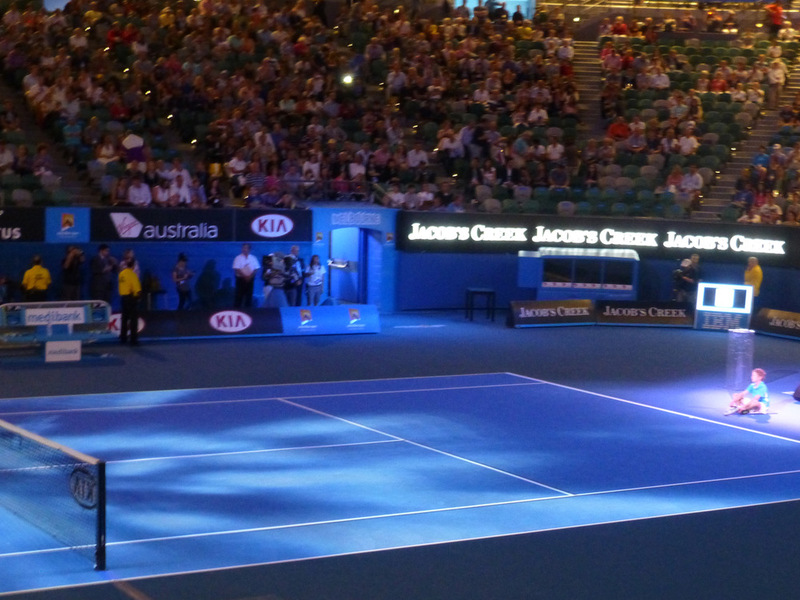 It was a great night and a wonderful experience, so different from seeing tennis on the television. Not only could we see both players simultaneously up close we also took in all the periphery sights such as the ball boys eagerly zipping after stray balls and snapping to rigid attention as soon as they hit their mark back on the sideline. We also got to watch the players have their moments of time-out, strolling around or stretching after a point and how they reacted to the outcome of it. We left the stadium late at night after four sets of tennis, the parade of flags and trophy ceremony. Our man had won the night in a well-deserved victory and we thanked our hosts for such an amazing night out. We entered the stadium to be greeted with a lights display show before the match commenced. We take our seats with the rest of the IMCD group and settle in for the action. The players greet each other and thank the star of the lights show for his contribution. 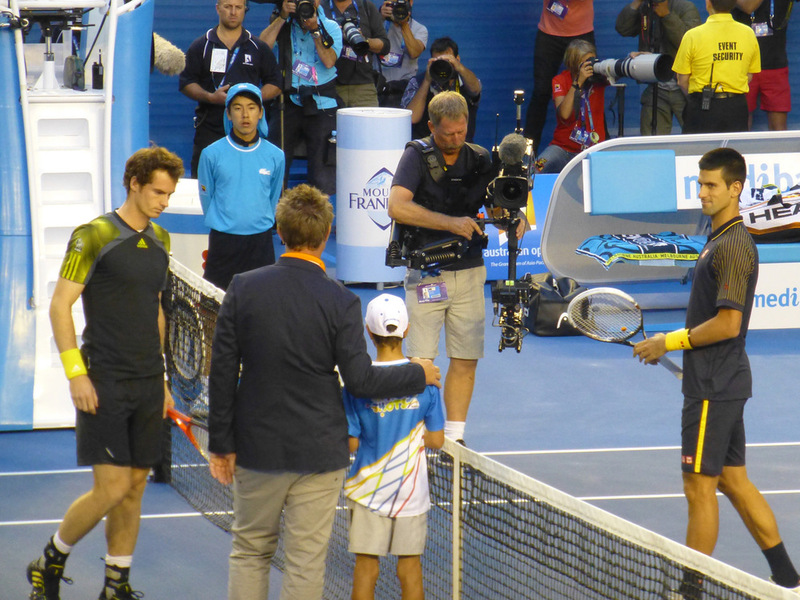 Shots from the all the action including Murray's ankle injury and the congratulatory handshake at the end. The photographers bank up ready for the trophy presentation.